In A Star Is Born, Bradley Cooper and Lady Gaga fuse their talents to depict the raw and passionate tale of Jack and Ally, two artistic souls coming together, on stage and in life. Theirs is a complex journey through the beauty and the heartbreak of a relationship struggling to survive. In this new take on the iconic love story, four-time Oscar nominee Cooper (‘American Sniper’, ‘Silver Linings Playbook’), makes his directorial debut and also stars alongside multiple award-winning, Oscar-nominated music superstar Gaga in her first leading role in a major motion picture. Cooper portrays seasoned musician Jackson Maine, who discovers and falls in love with struggling artist Ally. She has given up on her dream to become a successful singer, until she meets Jack, who immediately sees her natural talent. 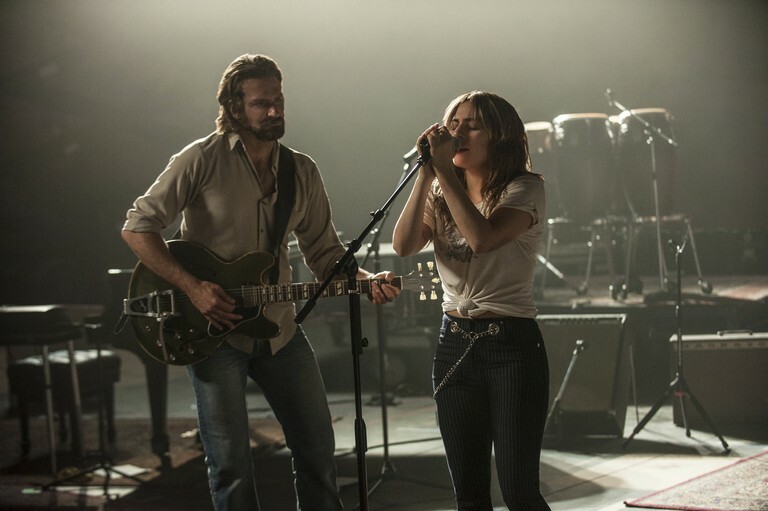 In addition to playing Ally, Gaga — who earned an Oscar nod for the song ‘Til It Happens to You’ from the film ‘The Hunting Ground’ — performs original songs in the film with Cooper, which they wrote with a handful of artists, including Lukas Nelson, Jason Isbell and Mark Ronson. The music is original and all vocals for the movie were recorded live during filming. “I never thought, ‘How do I make it original?’ I just knew I had to make it authentic to tell the story I wanted to tell,” says Cooper who, in addition to directing and co-writing the screenplay, and starring as Jackson Maine, produced the film.